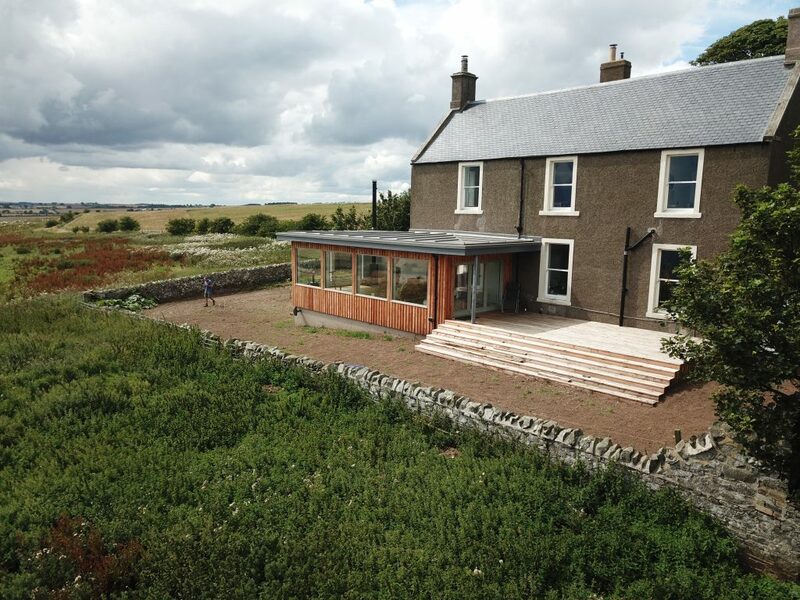 Farmhouse extension in the Scottish Borders! The site team are just about to put the finishing touches on this fantastic project. The contract was negotiated from design stage with the GMC estimating team budgeting the build from our sketch-up team providing 3D models of what was possible. 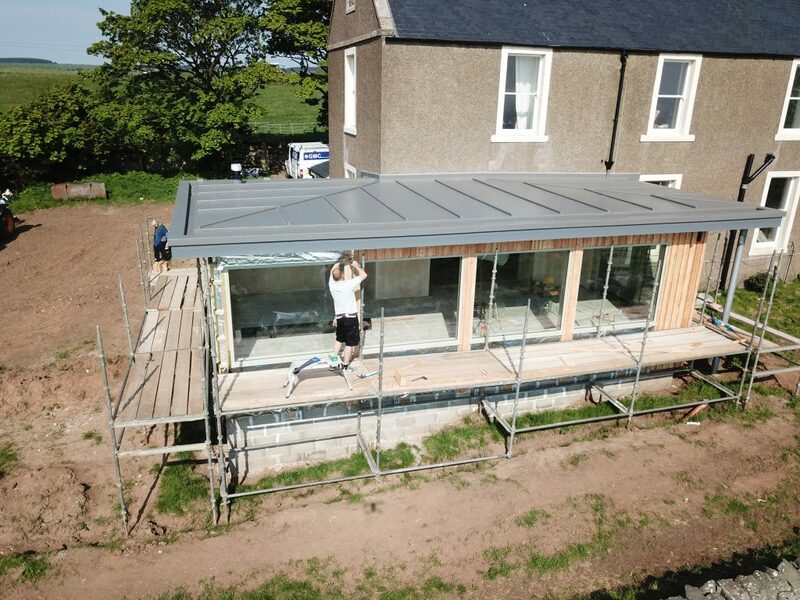 The Client Brief was: A sunroom wrap round round which made the best of the views! We think we nailed it! With the design concept & budget established the client had full control of the project at all times with 1 point of contact at GMC. 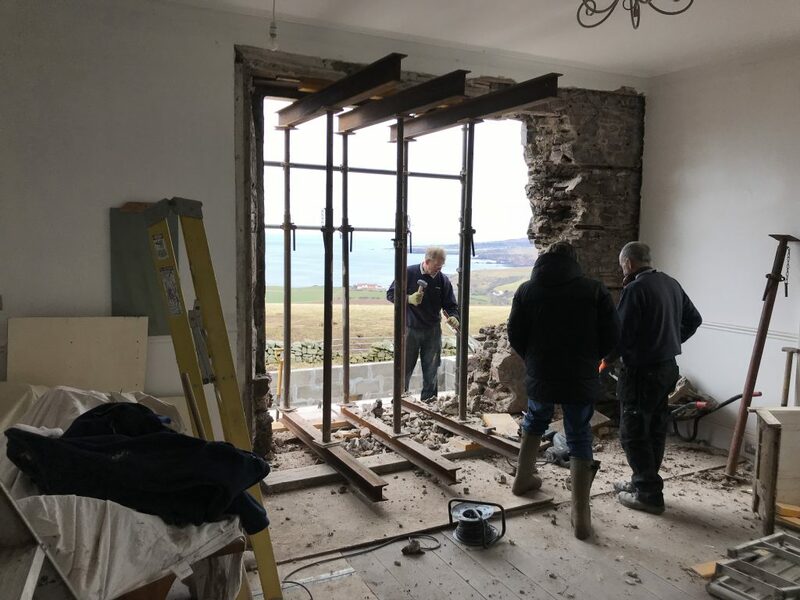 With Planning & building warrant required for the work, GMC brought in one of our trusted technician (Kevin White) who guided the client through the design details, planning & building warrant approvals. 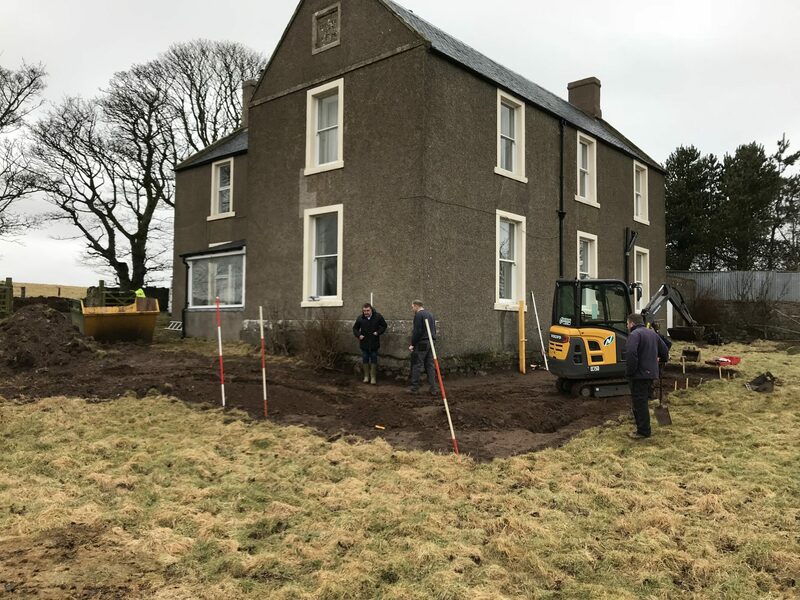 With this process moving quickly the site team were soon on site breaking ground. The team start with foundations & drainage followed by substructure. The was a large opening to form in the existing farm house external wall, this was designed to make the most of the views from both the new sunroom & the existing kitchen. 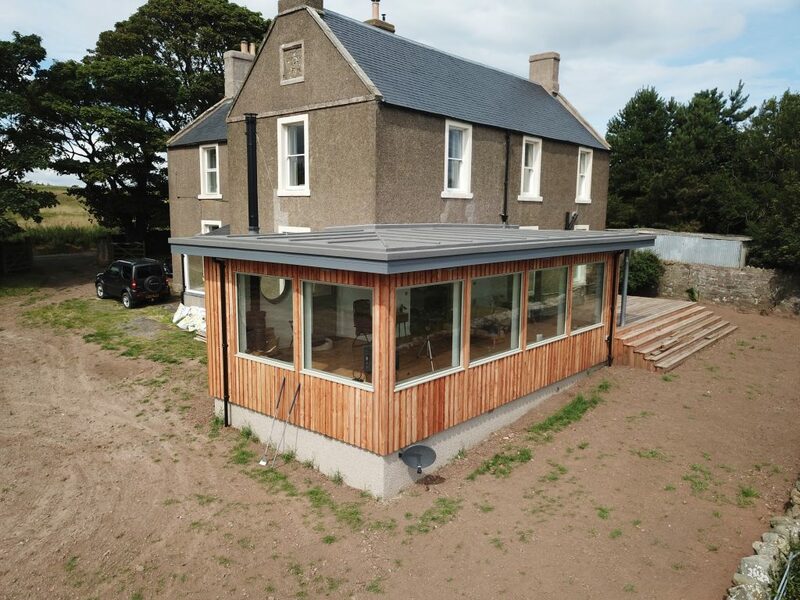 The Team manufactured and fitted our standard low energy timber frame system with a insulated flat roof covered with a polyroof system. 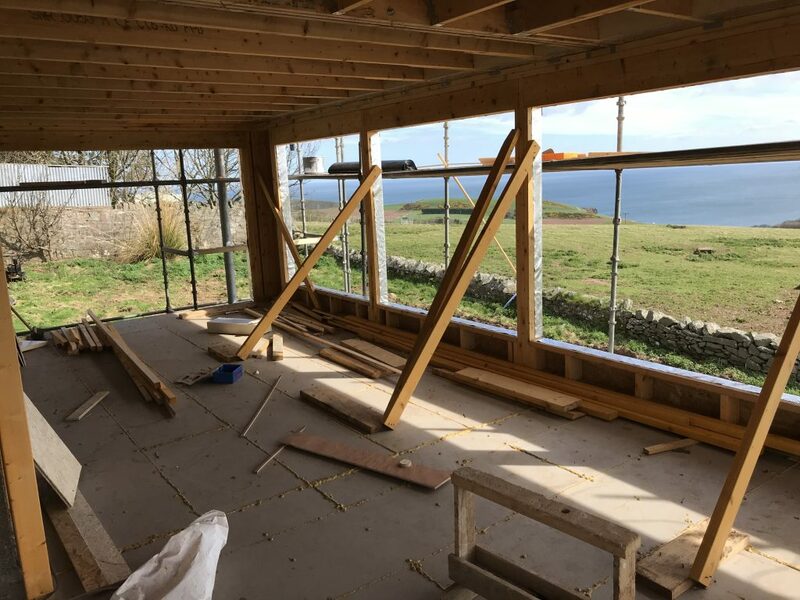 The walls were lined with high performance timber windows manufactured locally including a barn style door & bi-fold doors. 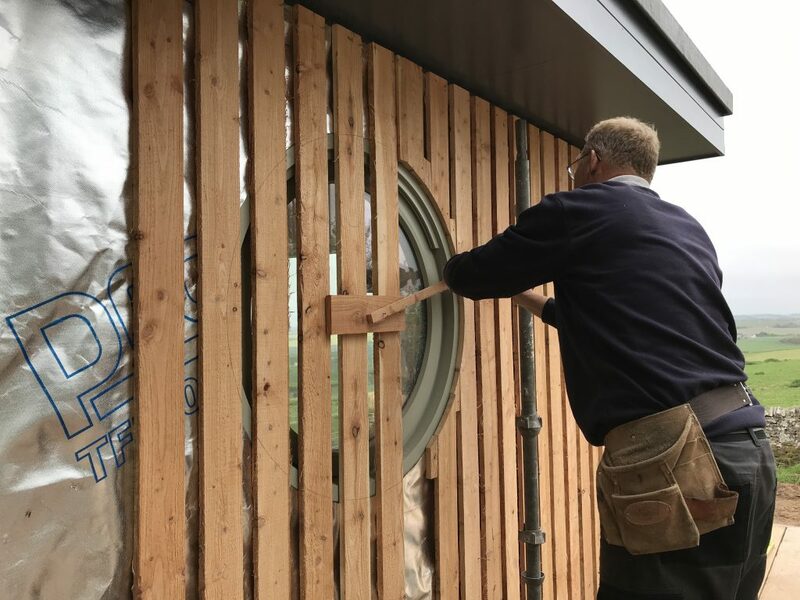 The external walls received a larch cladding grown and milled within 15 miles of the site. The Decking from the same source. 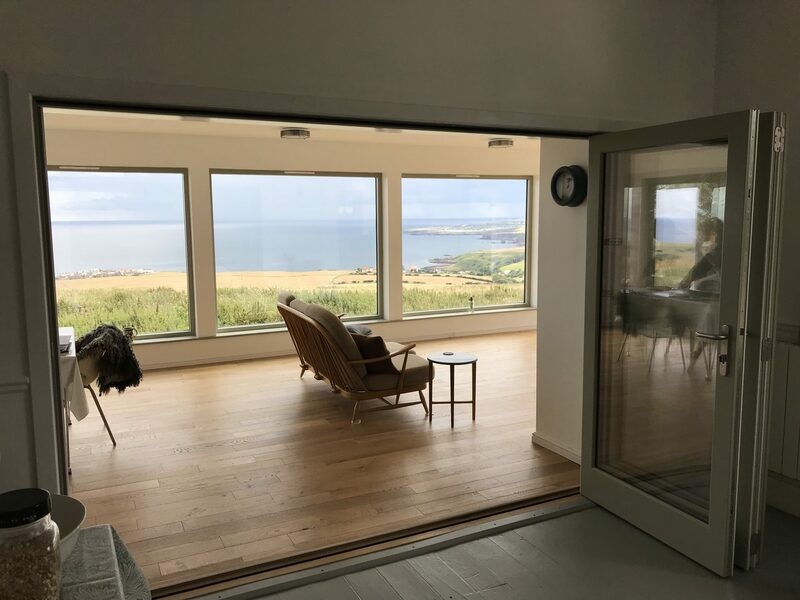 After much deliberation on the finished timber floor and engineered product was chosen due to the climate inside the sun room deemed too extreme for a natural solid wood. Finished off with an amazing deck! We think the project looks fantastic and the clients are over the moon with their new space!